The team attempts to catch up in the last few minutes of the game. 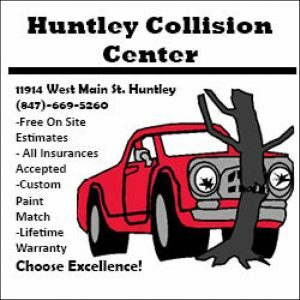 Huntley’s varsity basketball team played Jacobs on Friday, Dec. 1. The girls gave it their all, but came up short by a mere two points. The game finished 44-22, in the Golden Eagles’ favor. The starters for the game were: Bridget Bigden, Mallory Moffett, Kamsi Nwogu, Raquel Radermacher, and Anna Seng. Jacobs took the lead for the majority of the game, but Huntley was able to keep up. “I’m really proud of how our team fought back and how well we played down to the stretch,” sophomore Anna Seng said. The girls ended halftime not too far behind. Jacobs led 18-14 but Huntley kept up with them until about halfway through third quarter when unfortunately, Jacobs got ahead 29-19. By the end of third quarter Huntley was still behind 33-25. With three minutes to go, the score was 42-37. 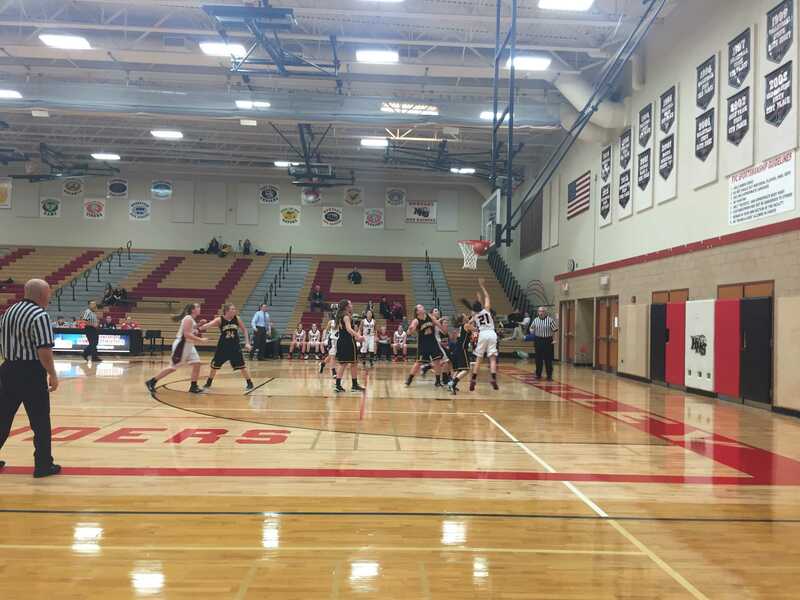 Anna Seng scored a three-pointer with a minute and a half left, which gave the team some hope. In the final seconds of the game, Huntley saved the ball and a timeout was called. On the inbounds play by Huntley, a Jacobs player deflected the ball out of bounds. At that point, the clock had too little time on it to give Huntley much of a chance. The game ended with a win for Jacobs, but Huntley gave it their all with an ending score of 44-42. Each of the girls did a great job and there were a ton of steals and rebounds throughout the game. Freshman Briana Bower had a couple three-pointers during the game that ended up making a really big difference in the final score. Make sure to go support the girls on Dec. 8 at their next home game. They will be playing Hampshire at 7 p.m.